“Getting to Hampden for the Scottish Cup final would be the perfect way to end what has been a very good season for me personally. Getting to Hampden for the final would top the season off. It has been relatively successful, but you want to win some silverware. You want something to show for all the hard work you have put in. “As I say it has been a good season for me personally with so many highs. I am delighted with the amount of football I have played this season and it has been important for my development. I have also really enjoyed being part of the Scotland U21 squad. “There is no doubt he biggest disappointed was losing to Celtic in the League Cup Final. Before the game I was fully focussed and only thought about winning. That is the only thoughts I had. So then having to face up and deal with a defeat, it is not a nice feeling. “It is obviously good getting to a cup final, but you can only enjoy them if you win. “You compare that disappointment with the feeling of beating Rangers in the semi-final at Hampden. I have never felt anything like it. “There is such a difference between winning and losing big games. 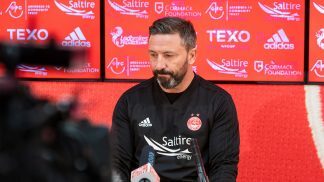 “I will be a slightly different Celtic team to what we have faced before in these previous games at Hampden as they are now under different management. “So it will be a slight different prospect. “Last time we played them we drew 0-0 at Celtic Park. We could have nicked it as well. So I think we need to take a lot of positives from that. We need to prepare how we have done the past few games down there. “Recently I don’t feel we have been outplayed by them at all. We have been in every game we have played against them. We need to make sure we do the same again. We need to stay in the game early on. We need to make sure we are full focussed for the 90 or 120 minutes, whatever it takes. “And we need to take our chances. “I would be lying to you if I said that last year’s semi-final did not annoy me for a few months afterwards. I felt at the time that I would not have a better chance of getting to a cup final. No disrespect to Motherwell at all, they are a good team and did very well last season, but I still felt we had enough in the squad to have done a lot better. “But credit to Motherwell, they played well on the day, they deserved their win and we did not turn up, which was really disappointing. It ate away at me, missing that chance to get to a cup final. Those opportunities don’t come along that often and you are left wondering what might have been. “I’m just delighted I’ve got another opportunity. One of the reasons for coming back here in January was to try and win some silverware and we have another chance to go and do it. 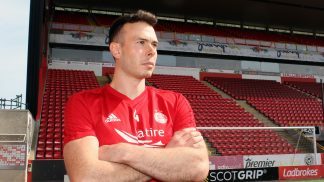 “Aberdeen aim to get to cup finals at the start of every season. They have already got to one cup final and were unlucky in my view not to win the League Cup. Challenging like that is definitely one of the things you think about when you come to Aberdeen. “It’s coming to the business end of the season in the league and cup now and I’m excited to see what we can do. “I feel that there is a confidence within the lads already, especially having picked up two good results in Glasgow recently. “Looking at our form in Glasgow, even in the League Cup final against Celtic, we did not get a result but it was there for us. We were close that day. There is a confidence now in the big games, especially down in Glasgow. Just speaking briefly to the lads, we are desperate to be in that final. We really believe that this could be our year. I know everyone says that, but we really feel with the players that we have got and the desire, we have a chance. “You have to respect the ability Celtic have on the ball. You have to respect the way they are going to play and make sure you are organised and concentrate on your defensive duties. “To have two clean sheets in Glasgow recently was a real feather in the cap. I felt quite comfortable in both games. Yes it was hard work throughout the games but there was a confidence within the back four, a confidence in the players in front and confidence within the team. If you can keep cleansheets, then you are always going to get a few chances in a game to nick it. “It’s been anything but straightforward. The Stenhousemuir game at Pittodrie ended in a draw but could have been worse. We were in complete control but lapses in concentration kept things in the balance and they scored a good goal to earn a replay. That was their real chance gone. 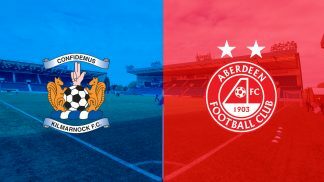 “We won convincingly there and although there were tough moments against Queen of the South, especially Dobbie’s unbelievable strike, we won comfortably in the end. “I missed those two wins but was back for Rangers. We should have done the job at Pittodrie and then people wrote us off for the replay, but we’d already beaten Rangers twice in Glasgow this season. We knew we could get a third result. Nothing beats winning there, especially the way we did it with so many young boys in the team. The fans were brilliant too. “But there’s no point being happy with a semi-final. You celebrate once you win a trophy. Otherwise, it means nothing. I can tell you that from losing last season’s semi-final. 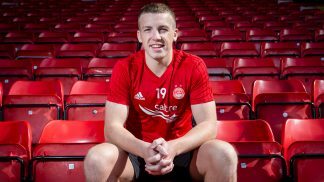 “That was the first chance I had to be involved in a big game for Aberdeen at Hampden in a playing capacity. I’d been involved in squads and been on the bench, but it was my first start in a game like that, so it was bitterly disappointing. To play as poorly as we did, especially when I had the armband, that hurt. 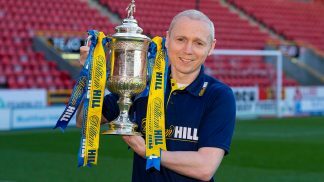 “The Scottish Cup has been very good to me this year, so hopefully I can keep that run going this afternoon! More importantly we want another final and then a trophy. The dream is to win it, but we there’s no bigger hurdle than Celtic. “In cup football, anything can happen. The year we won the League Cup, we only got past Alloa on penalties. In the Stenhousemuir game at home this season, although we had a lot of possession we landed up drawing and they even had a chance to win it. “The first half against Queen of the South wasn’t great but it could not have worked out any better for me, coming on at half-time and then scoring after a few minutes before providing a couple of assists. Then I scored early in the Rangers replay, so I’ve enjoyed the cup games. “Getting goals is nice because you’re judged on that – assists quickly get forgotten! But I think I’ve contributed on both fronts and I need to do that again on Sunday”. “I am not going to lie, it is horrendous to be missing another semi-final. “I missed a lot of games last season but most of them were league games. Thankfully not so many this season. League games are different. In terms of this game, you are either in out. Last season watching the team lose to Motherwell was the toughest game I have ever had to sit out. It was so hard watching it. Even the build up to it, the night before when I was with the boys but not getting ready for the game. I think the ruling is harsh. We have had five games, with the two replays and I have had two yellow cards. “There are so many boys though who can step up and there is no better game to do it in. Hopefully I can still lead the team out in a cup final. “It might actually help that I am out of the team! “All the results we have had down in Glasgow this season against Celtic and Rangers always gives you that belief. It is always tough playing then down there but we know that it is a game that we can win, we know we can get through as long as we play to our capabilities. The last time we played Celtic in the league was a narrow game, there was not much in it. There is a belief in the squad that we can do it. “Although I am not playing, I will still be there as the captain. “I have only played there in the Youth Cup final. That was a very disappointing result but still a good experience to get that under my belt at a young age. 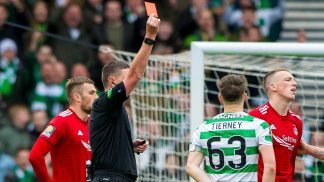 “But before the Scottish Cup final against Celtic two seasons ago, I had to do a two minute interview about the SFA Performance Schools on the microphone on the pitch before the game! That was probably more nerve wrecking than playing! 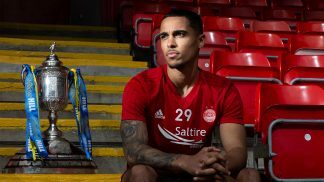 “As a club, we make no secret of the fact that the Scottish Cup is absolutely huge for us, because we always say at the start of the season we want to win silverware. This is the best chance we’re going to get now this season, so it’s a huge game for the club and one we will look forward to when Sunday comes around. 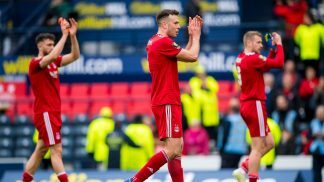 “Being a fan growing up adds an extra level of excitement for me going into games like that, knowing that we could get into a Scottish Cup final. I’ve been to plenty of cup finals and semi-finals at Hampden as a fan in the stands in the past few years, so I’m hoping this is my time to get on the pitch instead, we’ll see what happens.